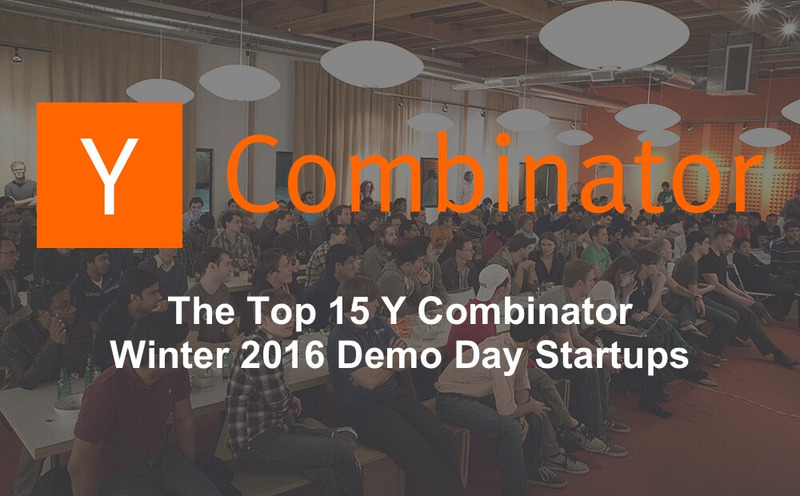 Today and tomorrow, Y Combinator’s Demo Day for the Winter 2016 batch is taking place at the Computer History Museum in Mountain View, California. The startups will pitch to an audience of Venture Capitalists, Angel Investors, and decision makers at large tech companies, in hopes of closing their next round of funding. This class of startups includes an algorithm for personalized hair care products, international peer to peer delivery, an app to keep people connected with their pets, a rideshare by bus service, and more. As of today, 65 companies have been announced and you can login to Mattermark to see the complete list. We ranked this batch of Y Combinator companies and found the following 15 with the highest Mattermark Growth Score. UpLabs is where designers and developers showcase and sell their work, daily. Mattermark Growth Score: 1,833. Truebill is a platform that allows you to find, track and manage your subscription services and recurring bills. Mattermark Growth Score: 1,417. SendBird is a solution for chat and messaging that enables your app to engage and satisfy your customers in real-time. Mattermark Growth Score: 1,216. Konsus provides on demand freelancers for business via chat or email. Mattermark Growth Score: 766. Function of Beauty created an algorithm for personalized hair care products tailored to your specific hair profile and goals. Mattermark Growth Score: 718. Tovala developed kitchen appliances that simultaneously cooked individual pods of ingredients to create a healthy meal in under 30 minutes. Mattermark Growth Score: 653. Protonet enables small businesses to communicate in groups, manage files and other day-to-day tasks. Mattermark Growth Score: 649. Pulpix helps media companies and online publishers engage their audience with recommendations inside videos. Mattermark Growth Score: 635. Shypmate offers affordable and fast international peer to peer delivery. Mattermark Growth Score: 621. Bonsai helps white collar freelancers manage their business and get paid on time. Mattermark Growth Score: 554. Petcube keeps people connected with their pets by enabling them to watch, talk, and play laser games with their pets through the Petcube mobile app. Mattermark Growth Score: 411. Prompt is “the command line for the real world” with its text interface to thousands of services. Mattermark Growth Score: 370. Birdly lets you access your customer data (from Salesforce, Stripe, Zendesk…) in Slack. Mattermark Growth Score: 342. Outschool helps you find and book in-person learning activities for kids. Mattermark Growth Score: 326. Share The Bus is a rideshare by bus service that offers “bus trips to anywhere you need”. Mattermark Growth Score: 320. How does the Y Combinator Winter 2016 batch compare to previous batches? How many of YC’s W16 class are international?